Brand new puppy? This is the most impressionable time in your dog’s life and this class might be the most important one you ever do with your dog! Need help with the basics and want a better relationship with your dog? Whether a new rescue, out of control adolescent or just want a well-mannered dog, this class is for you! Intermediate obedience that takes all the basic skills that you and your dog have learnt so far and elevates them to a whole new level in a way that is fun but challenging for both of you! Sometimes an individual lesson is best for both you and your dog. Take the time and care that is needed to help you and your dog develop the best relationship possible. 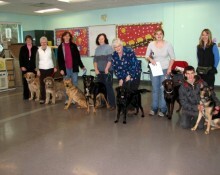 This class is designed for very young puppies, 18 weeks or younger at first class. This is a very important time in a puppy’s development and generally speaking experiences at this age, both good and bad, will stay with them for life. This class will help give them the best start possible. This class is suitable for all dogs, 5 months of age and older, whether they have just completed puppy classes, are an adolescent that is being introduced to basic obedience or are a rescued dog of any age. Older dogs have also done well in this class. 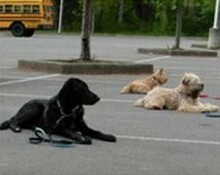 Intermediate obedience for dogs that have completed Family Dog Manners or an equivalent basic obedience course. You will continue to build on the skills that you have already learnt as well as learning new ones. 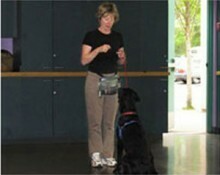 It is not a formal obedience class but rather taught in a manner that is fun but challenging for you and your dog. Sometimes more individual help is needed for your dog. 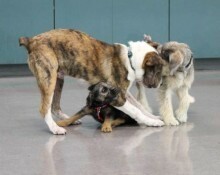 They may have difficulty focusing in close proximity with other dogs or have a specific behaviour problem that is best resolved one on one. If you wish to learn effective techniques in a more private setting, this may be the best choice for you and your dog.